If you work on your own car and don’t know about RockAuto.com shame on you! RockAuto has an amazing selection of car parts at rock bottom prices. Geez, with all this talking up, I should be getting paid by them. 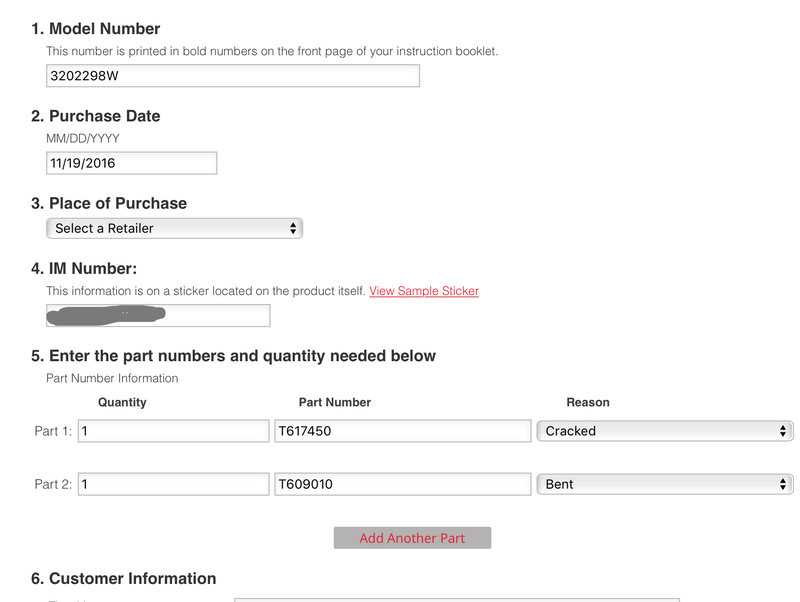 Alas, today I’m going to share a secret about how to hack the RockAuto.com wholesale clearance sale. I received an email from RockAuto.com informing me about their wholesale closeout parts sale. The email contained two links, one for each car that I have ordered for in the past. If you just open a browser and go to RockAuto.com, there is no mention of the sale. So how do you get in on this super secret savings? You’re going to need to roll up your hacker sleeves and construct a special URL. Go to rock auto home page, click view catalog, and browse all the way to your car year, make and model and engine. Notice a small icon that says RSS next to the engine size. click that AS IF YOU were wanting to subscribe for updates for that particular model. the pop up window that results will have a url with your car code in it. replace the link above with the desired car code, and voila!! a list of wholesale closeout parts for the car you are working on. for $36 with tax and shipping. If I bought all of that at our local brick and mortar auto parts store it would have cost $146. We saved $110 by stocking up on clearance parts and consolidating the shipping charges. 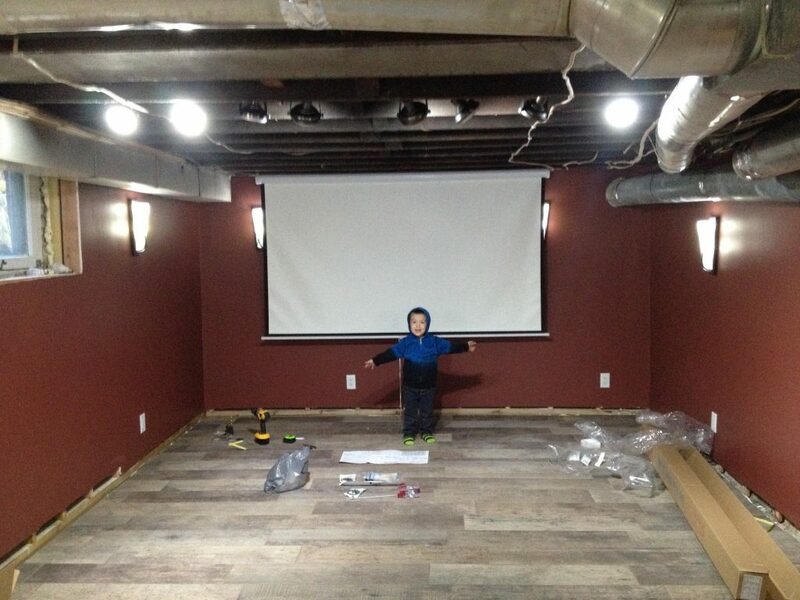 Shae, Frugal Boy, and I have been working tirelessly on redefining half of the basement into a second living room. When Shae and I toured the house almost four years ago, the space was for lack of a better word, gross. 70’s wood paneling covered the walls. 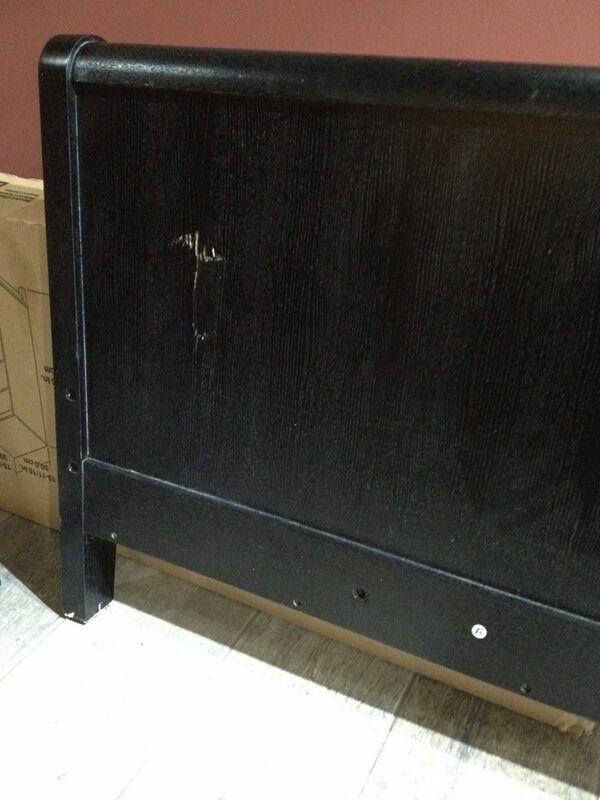 Some sort of black mildew or mold was growing on the walls along the floors and corners. A finished ceiling had been half ripped out, but the furring strips remained. The singular window had bars over it. Our house isn’t in a rough neighborhood, so it seemed very out of place. The remaining windows, while visible from the outside had been covered up from the inside. There was only one electrical outlet for the entire room and that room was labeled “Play Room” on the electrical panel. Maybe at one time it was a fun play room, but it had certainly degraded past that point years ago. Fast forward almost four years and below is a picture of the space now. It is not finished, but it looks so much better. The best part, by combining a barge full of sweat equity and a penchant for using other people’s rejects, we didn’t break the bank doing this renovation. In previous years we tore down paneling, repaired/replaced windows, and repointed the brick mortar. That gave us a clean slate to start rebuilding the room. The first item of business was insulation. 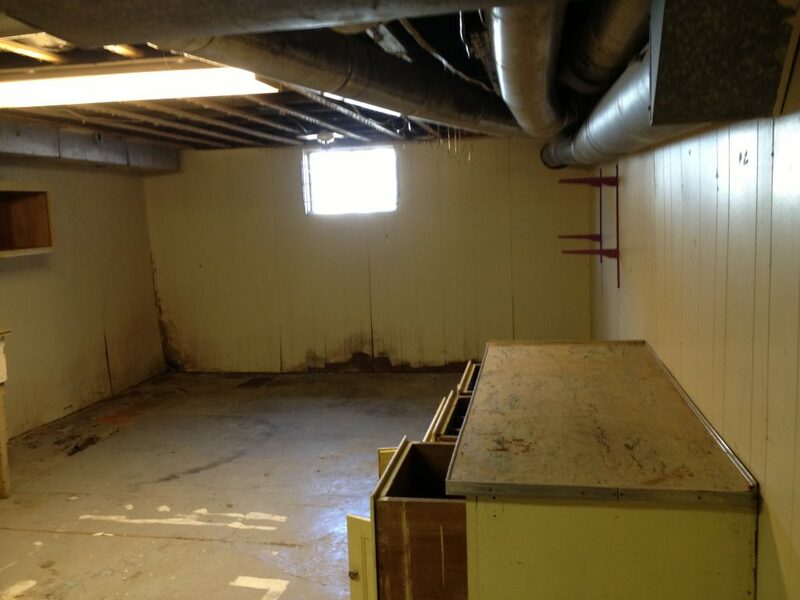 We used reclaimed polyiso rigid board insulation sheets that had been removed from a commercial building roof. 2″ thick 4×8 polyiso boards such as these normally retail for around $30 a sheet. I was able to pick them up second hand for $14/ea. That is a $16/sheet difference. Multiply $16 by the 12 sheets that we used to insulate and you end up with a cost savings of $192. 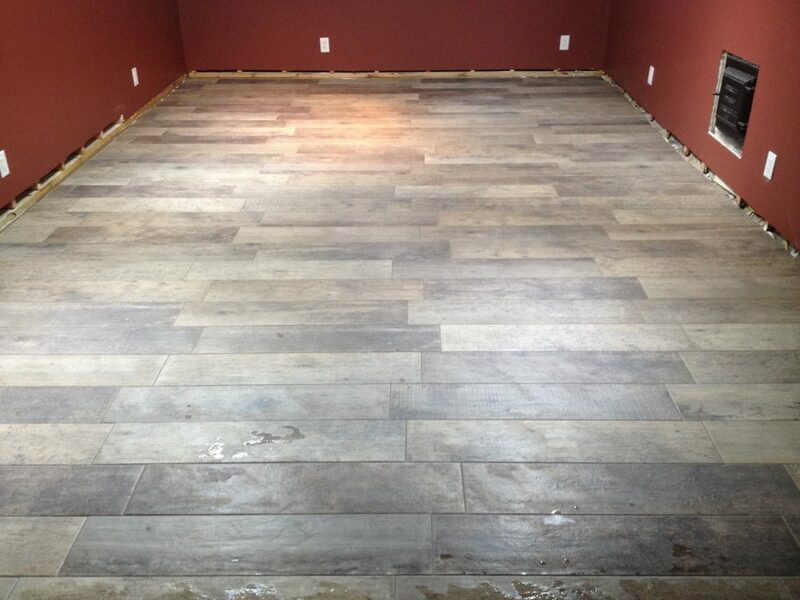 The next big cost savings we scored was by using factory seconds porcelain tile. 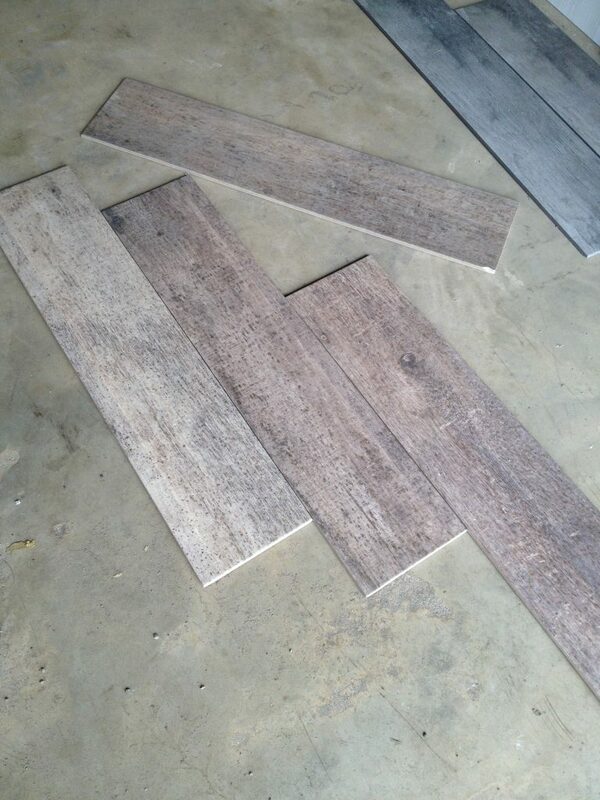 One of the big current trends/fads in floor tile right now is large format, wood-like, porcelain tile. This tile often comes in 8×36″ or 8×48″ and features an ink jet printed surface that looks like real wood grain because it comes from pictures of real wood grain. This type of tile normally runs around $4/sqft at big box stores. You may be able to find a sale and get it for less. We bought 336 square feet of factory seconds tile at $1.30/sqft for a total of $437. Buying the same thing from a big box store would have cost us $1344. By taking factory rejects, we saved a whopping $907. While laying the tile floor was hard work, it only took about a week to get it all done working nights and weekends. Looking around the internet, pegs porcelain tile labor costs at around $5/sqft. That is another $1680 saved by rolling up our sleeves and taking a couple of ibuprofen before bed. Sometimes the savings are smaller. For instance, I bought a snap tile cutter for $20 at Lowes to install this floor. Our neighbor was throwing out an old cutter and offered it to us for free. It worked ‘well enough’ to get our job done. We saved $20 by using an older, less-than-perfect tool. 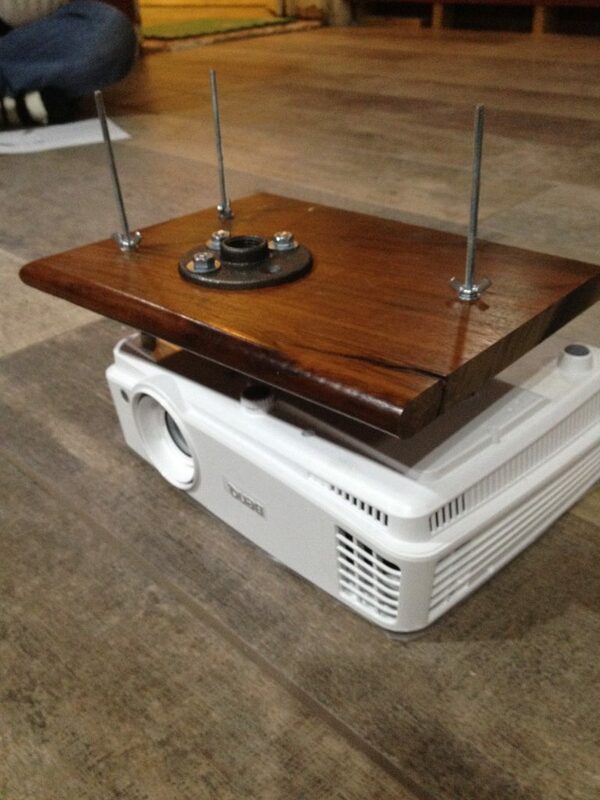 I rejected the notion of buying a projector mount and opted to make my own instead. 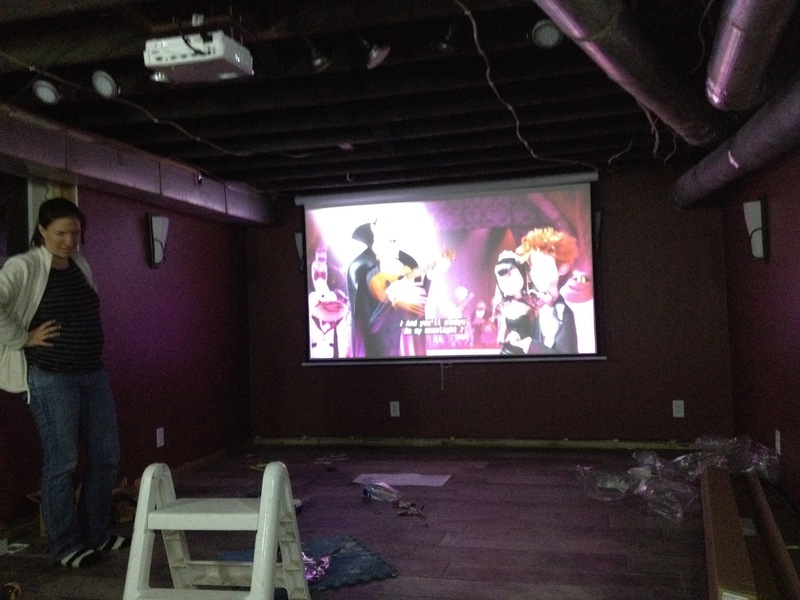 $10 in hardware was adequate to mount our slickdeals.net projector deal to the ceiling. We saved $5 on the DIY mount and $80 on the projector. 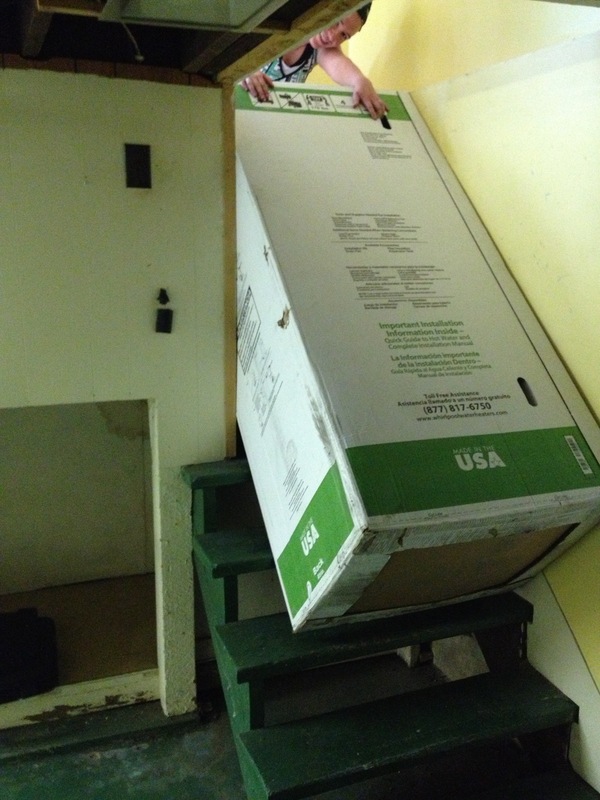 Getting furniture into the room is very difficult because of the narrow stairwell. We barely fit the water heater down four years ago. 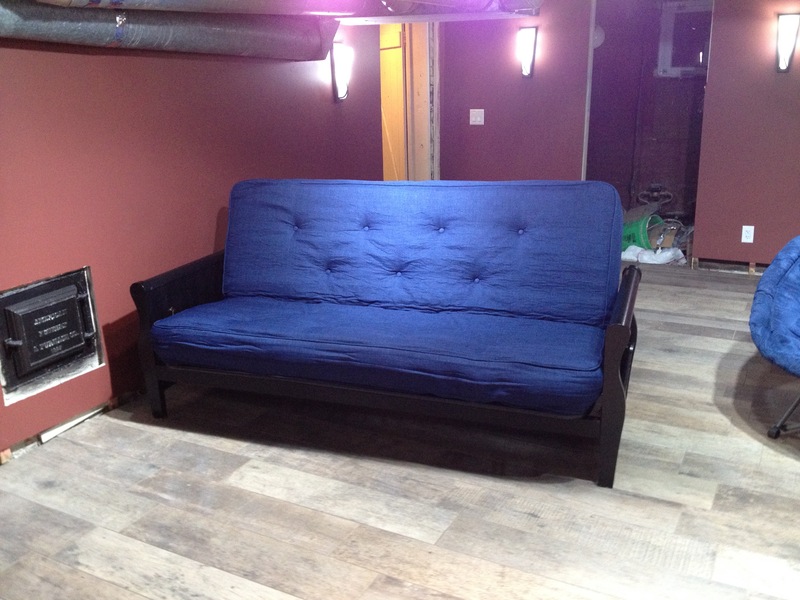 We finally found an interesting deal on a futon through Craigslist. For $180 we picked up a brand new, in the box futon that normally retails for $290 + $24 in tax. 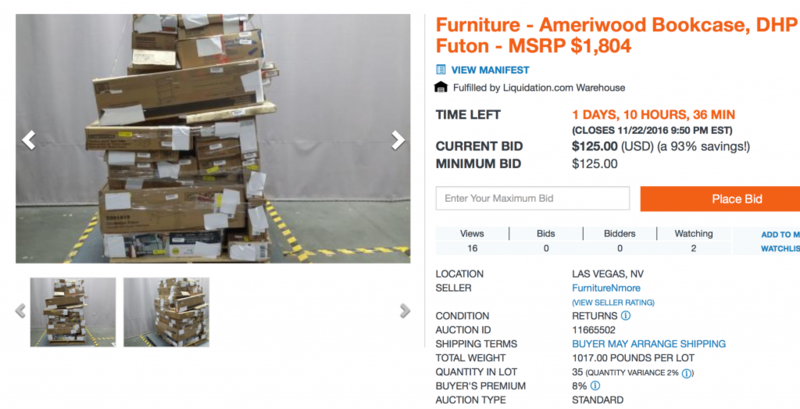 The craigslist seller was running an interesting side business of buying RETURN lots at auctions and then reselling them. 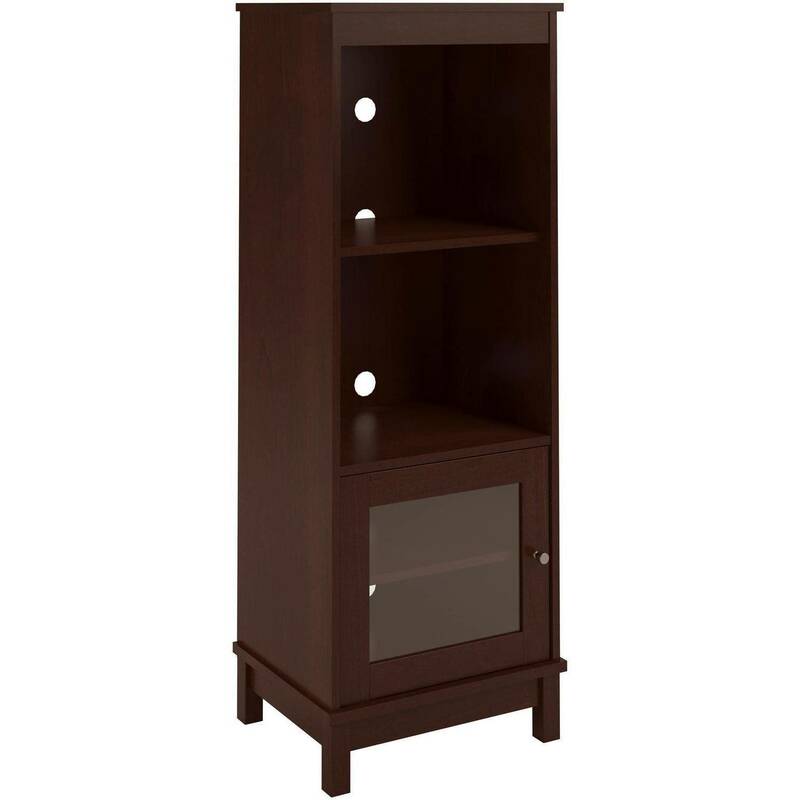 The general gist of the business is that people buy furniture at Walmart or other retailers, get it home, open it up, and realize that it is broken, the wrong color, or just not what they wanted. They return it to the store where they bought it from, but the store doesn’t want it. The instruction booklet even has a big STOP printed on the front telling customers NOT to return it to the store. Instead, unhappy customers should call the manufacturer, often DHP or Ameriwood. So the store is left with a box that they cannot readily resell. They load it up on the next outgoing truck and it ends up at a processing center. All these rejected returns are then bundled up into a lot and sold off at pennies for the dollar at auction. A middle man can then buy these rejects and sell them in their own store or eBay or craigslist. A thrifty shopper like myself would buy it, realize that a part is damaged and then get a replacement part for free from the manufacturer. The craigslist reseller gave us two options. She could request the replacement part, or we could do it ourselves and she’d knock off $20 from the price. We chose to do it ourselves. The process could not have been simpler, and it was FREE. Not only is our new sofa well traveled like us, but we also saved $134 by following simple replacement instructions. We bought a media cabinet as well from the same craigslist reseller. It had no damage. We paid $50 for it when it retails for $74+tax. $30 saved. You think that would be the end of the post, but wait, there’s more! 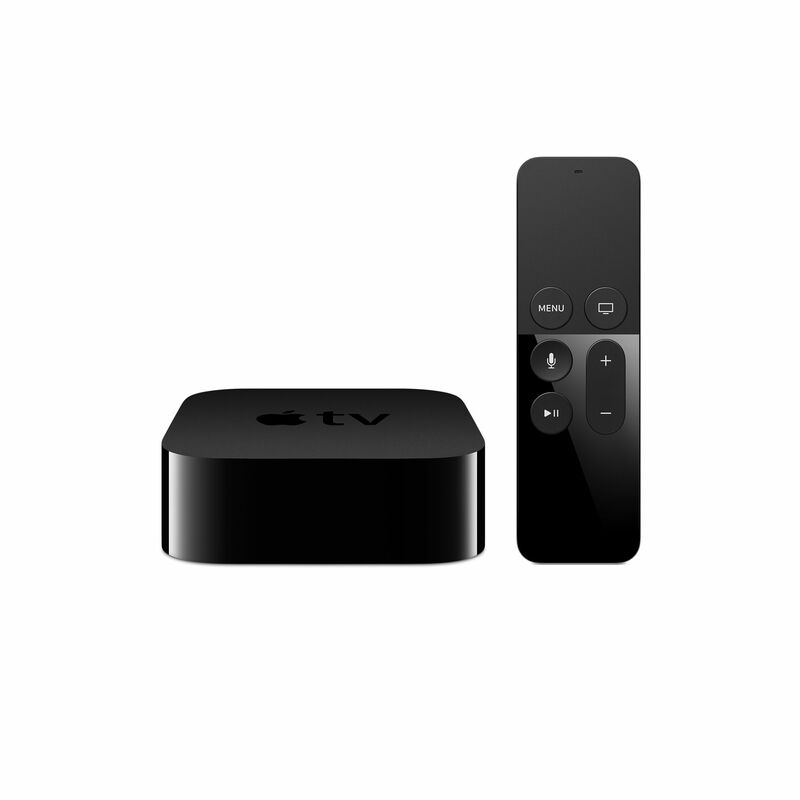 We saved $20 by buying a refurbished 4th generation Apple Tv. It streams content just as well as a brand new one. For those of you keeping score at home, the total savings of buying rejected second hand material for this project and doing the tough tiling work ourselves comes out to a humongous savings of $3068. 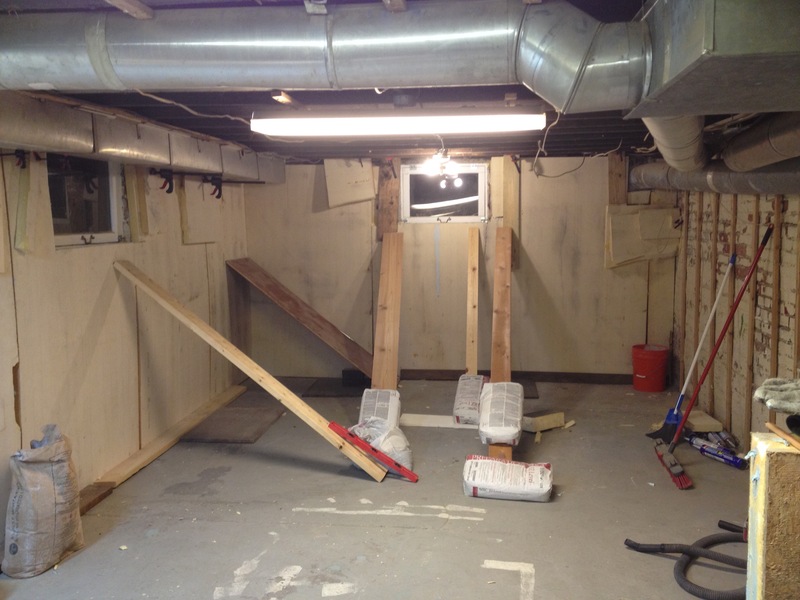 That doesn’t even take into account all of the other sweat equity that we put into the room including, demolition, framing, electrical, drywall, painting, and trim. Taking some time to shop around and look at alternative sources can really pay off. You don’t always have to buy things brand new or from traditional retailers. There are a lot of little resellers that can often cut you a much better deal on the same material.